“We believe that reproductive health is core to women’s, men’s, and young people’s health and wellbeing. We will continue to stand up to Republican efforts to defund Planned Parenthood health centers, which provide critical health services to millions of people,” says the platform. 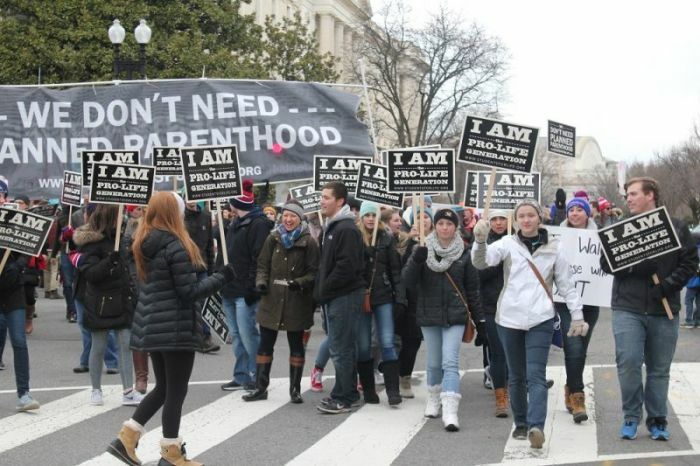 In addition, 70 percent of surveyed millennials supported limits on abortion, with 42 percent opposing abortion “broadly” while 28 percent supported specific policies like parental notification, limiting abortion later in pregnancy, and halting government funding of abortion. Other findings included 41 percent of millennials supporting the overturning of Roe v. Wade and equal numbers identifying as “pro-life” and “pro-choice” (39 percent). Last year, Refinery29 and CBS news released the findings of a survey of 2,000 millennial-aged women, finding that 38 percent of respondents said they believed abortion should be illegal, 34 percent said it should be legal in "most cases" and only 28 percent said it should be legal in "all cases." As Michael J. New, an associate scholar at the Charlotte Lozier Institute, put it about the Refinery29 poll, "72 percent think there should be some legal protections for the unborn." The Refinery29/CBS survey also found that 69 percent of respondents opposed overturning Roe v. Wade and 45 percent worried that abortion access will be more restricted in the near future.